Yup you read that right, the headline says how taking eggshell membrane supplements can help to reduce your joint ache. People like to ask me if they should be taking health supplements to help with their knee osteoarthritis, hip joint pain, back pain and general joint aches. I believe good nutrition is very important for our overall health and plays a big part in muscle, joint and nerve pain management, as I mentioned in the deflame diet. 2 How Is It Different from Glucosamine & Chondroitin? The company that started all of this news about using the membrane from eggs is called Biova, LLC based in Ames, Iowa in the USA. Biova has a patented technique to strip the membrane away from a used chickens eggshell. They then isolate and concentrate this membrane making it water-soluble via a process called Hydro5™. The end product is called Ovacore™ from which the dietary joint supplement, BiovaFlex™, is finally produced. There are millions of chicken eggs that are cracked everyday in food plants. The eggshell is normally seen as a waste product. This means there is a sustainable source from which Biova can harvest eggshell membranes. Watch below medical doctor, Dr Cathleen London, tell you more about this new type of joint support pill for natural pain relief. How Is It Different from Glucosamine & Chondroitin? You can read what is glucosamine or chondroitin chemically on wikipedia? Glucosamine is a naturally occurring substance in our bodies found in the cartilage of our joints. You will see most glucosamine joint support supplements come with added chondroitin sulphate. Chondroitin is also a naturally occurring substance in the cartilage of our joints. Help control the pain associated with the wear and tear effect. Typically you’ll find MSM added with glucosamine and chondroitin for extra arthritis joint support. I found most people don’t take the recommended dosage of 1500mg per day. Another worry is that glucosamine is sourced from shellfish. So it is not suitable for those with shellfish allergy. However, a recent review of in the British Medical Journal (BMJ) wasn’t very favourable at all for using chondroitin and glucosamine tablets for either knee or hip arthritis symptoms. 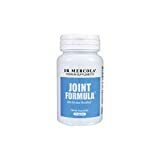 I know what your thinking it is all fine and dandy to know the biochemical breakdown for the different joint support tablets, but how will using this new joint support supplement help me. There have been two human studies so far. One in the Clinical Interventions in Aging (Clin Interv Aging) journal and one in journal, Clinical Rheumatology (Clin Rheumatol). The results look promising so far with an improvement in pain symptoms, improvement in knee function and no adverse side effects. These studies reported positive changes within 7 days of taking the supplement. These studies used 500mg per day supplements of the natural eggshell membrane from BiovaFlex to get these results. Biova also claims that if you are worried because you have an allergy to eggs or worried about the hygiene of eggshells that doing a RAST-inhibition test (radioallergosorbent test) indicated that it was highly unlikely that their natural eggshell membrane supplement presented any risk to egg allergic sufferers. The worry about bacteria in the product was said BiovaFLex was not cytotoxic on a Bacterial Reverse Mutation Assay. So they concluded it is safe to take. I know this new type joint supplement product is produced in the USA. So I went looking on the internet to see if I could find stockists who could supply us in the UK or anywhere else in the world like Canada. I did find Swanson Ultra 100% Natural Eggshell Membrane (30 Vegetarian Capsules) and Dr Mercola Joint Formula both of which you can buy below online from Amazon. There is even joint supplements for pets like dogs as I know they suffer from arthritic joints with age like we do. To maintain healthy joints and cartilage it is important to be able to move without pain as we age and to counteract the effects of lifestyle activities like high impact sports. It would seem you might soon start hearing your doctor or chiropractor recommending daily natural eggshell membrane joint supplements to support your tired and sore joints and cartilage. Effects of glucosamine, chondroitin, or placebo in patients with osteoarthritis of hip or knee: network meta-analysis. Wandel S, Jüni P, Tendal B, Nüesch E, Villiger PM, Welton NJ, Reichenbach S, Trelle S. BMJ. 2010 Sep 16;341:c4675. Eggshell membrane: a possible new natural therapeutic for joint and connective tissue disorders. Results from two open-label human clinical studies. Ruff KJ, DeVore DP, Leu MD, Robinson MA. Clin Interv Aging. 2009;4:235-40. Eggshell membrane in the treatment of pain and stiffness from osteoarthritis of the knee: a randomized, multicenter, double-blind, placebo-controlled clinical study. Ruff KJ, Winkler A, Jackson RW, DeVore DP, Ritz BW. Clin Rheumatol. 2009 Aug;28(8):907-14.